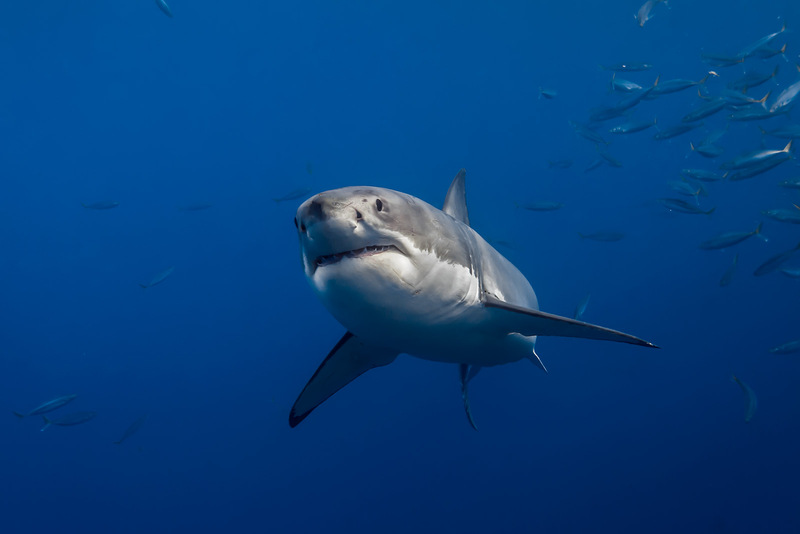 A male great white shark (Carcharodon carcharias) gracefully swims off the coast of Mexico’s Isla de Guadalupe. Out of all the images that I’ve ever captured of these animals, I feel like this one captures their essence the best. 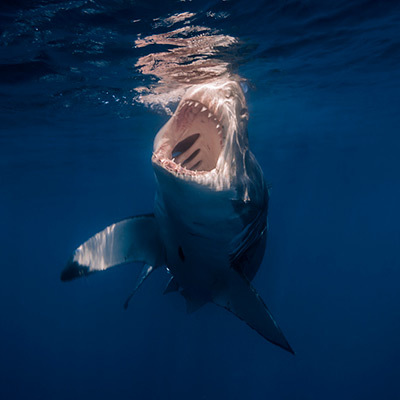 So often, the images that we see of the species are very dramatic, open-jaw shots, in which the shark is feeding. 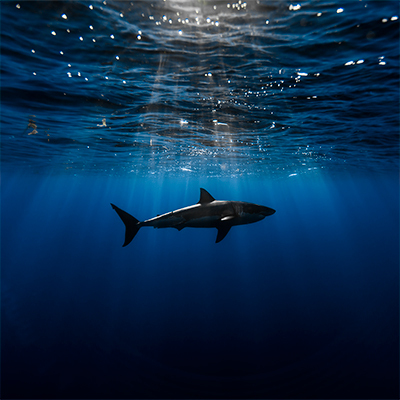 In reality, this image captures how a white shark typically spends its time.